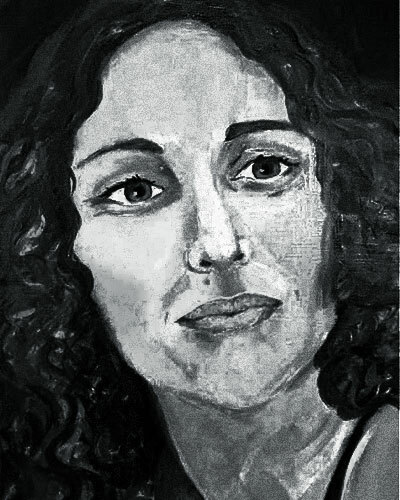 Like the waxing and waning phases of the Moon, light moves across our faces. 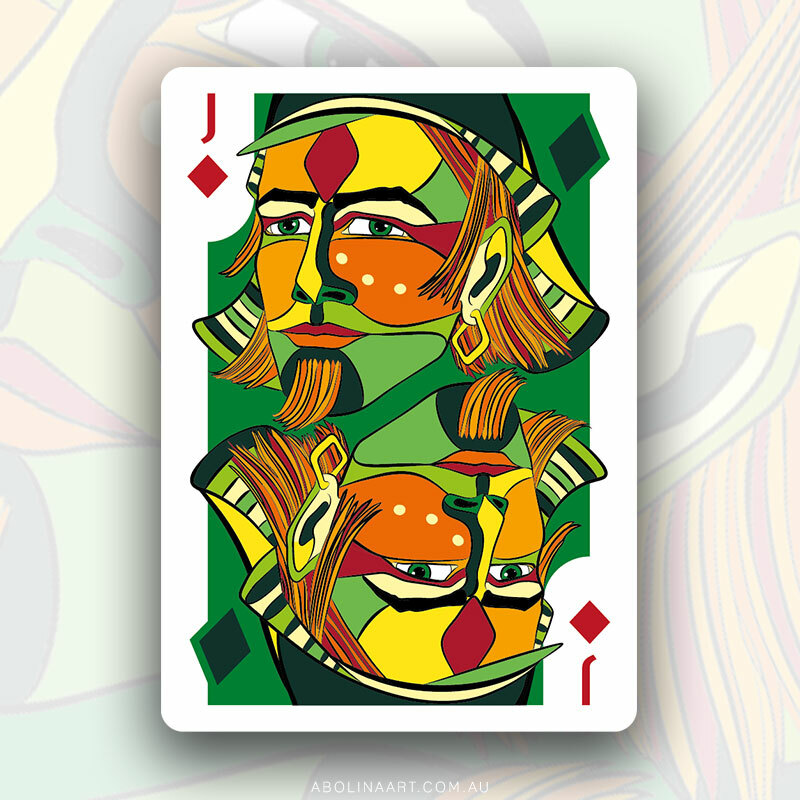 We mirror ourselves in others; seeking similarities, differences and a sense of belonging. 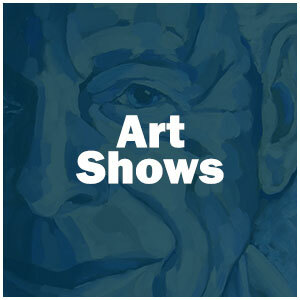 These paintings explore faces from young to old, through the play of light and a monochromatic palette mixing shades of blue. 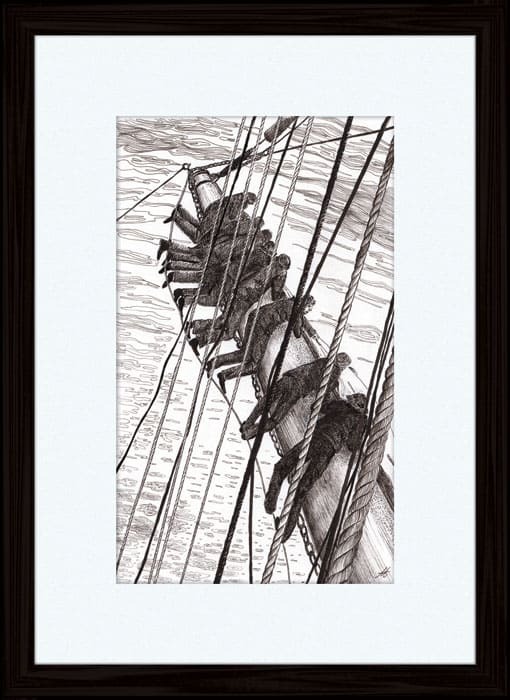 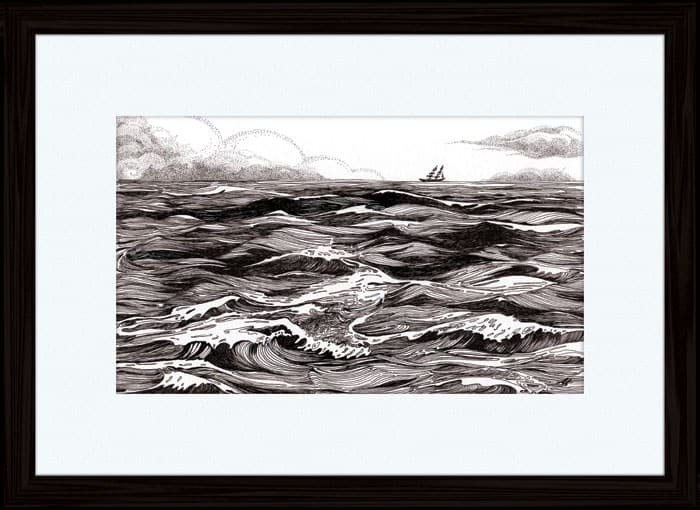 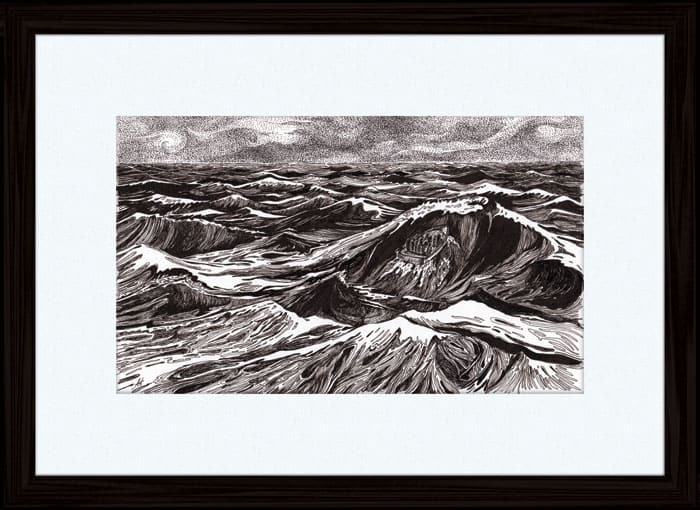 These pen and ink drawings are inspired by my love of the ever changing ocean and majestically beautiful tall ships, where safe passage is in the hands of the wind, the waves and the deep blue sea. 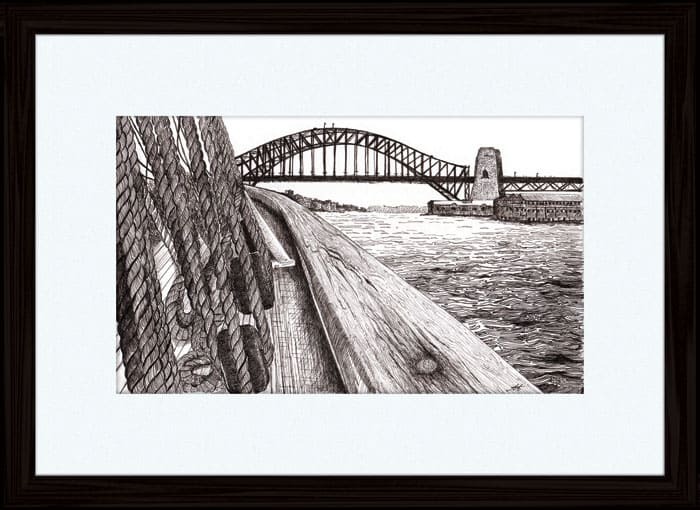 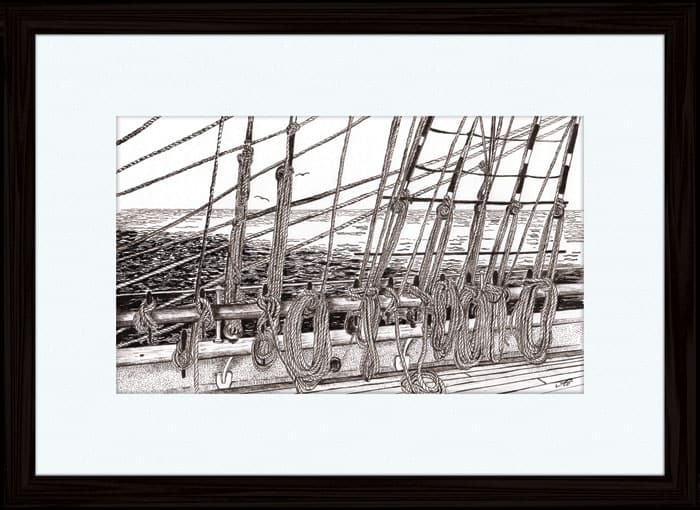 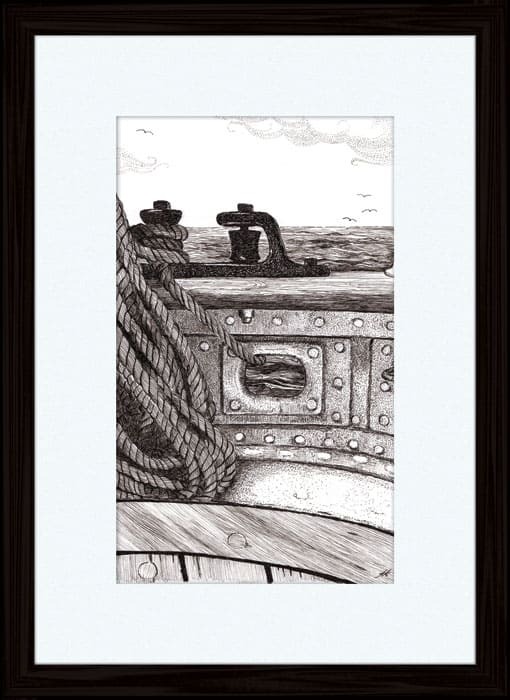 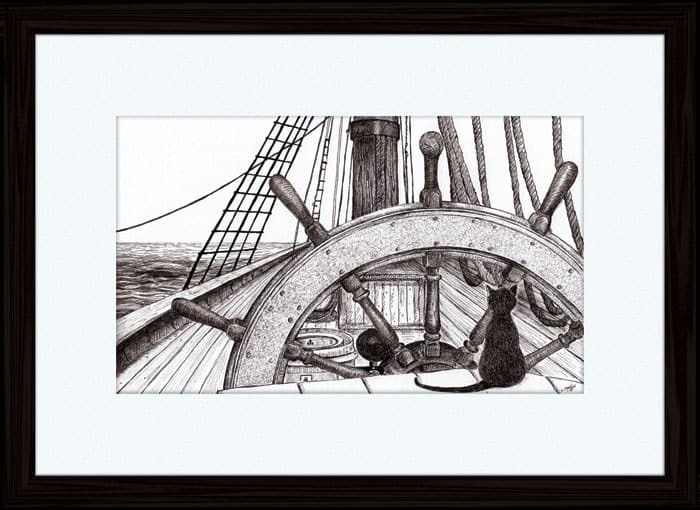 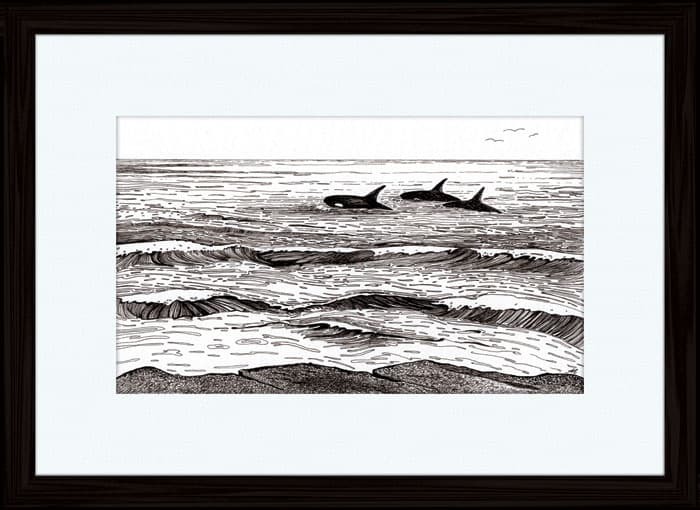 These pen and ink drawings are inspired by my love of the ocean and ships, no doubt inherited from the many seafaring folk in my family. 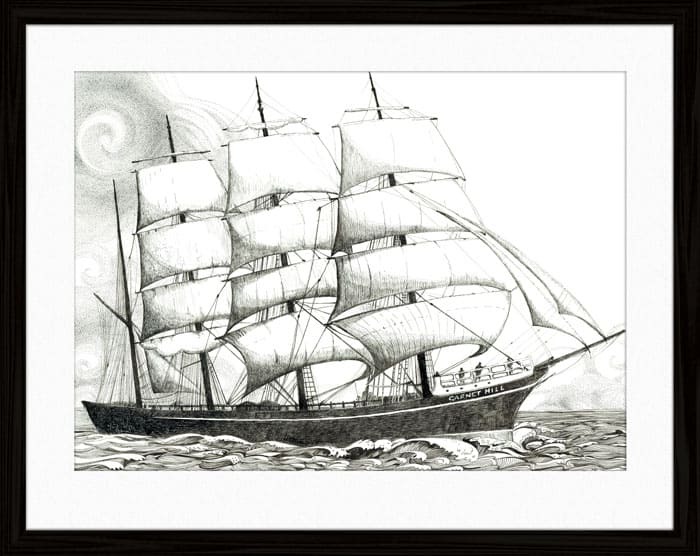 I am fascinated and drawn to tales of majestically beautiful tall ships and the ever changing oceans, where safe passage is in the hands of the wind, the waves and the deep blue sea. 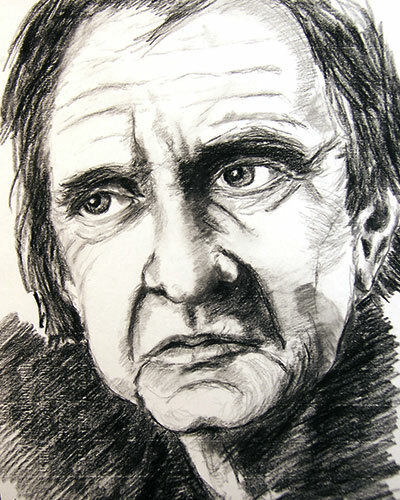 Portrait drawings in charcoal, ink, pencil and oil; studies looking at capturing the essence of character and expression. 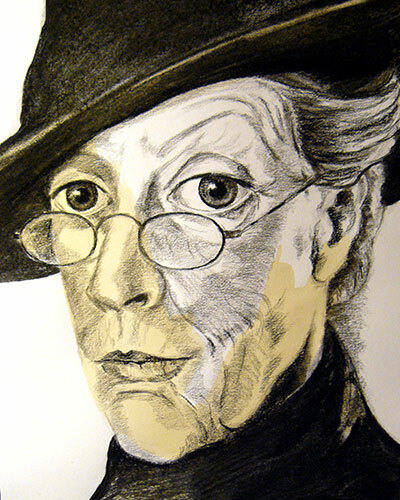 Portrait drawings in charcoal, ink, pencil and oil; studies looking at capturing the essence of character and expression. 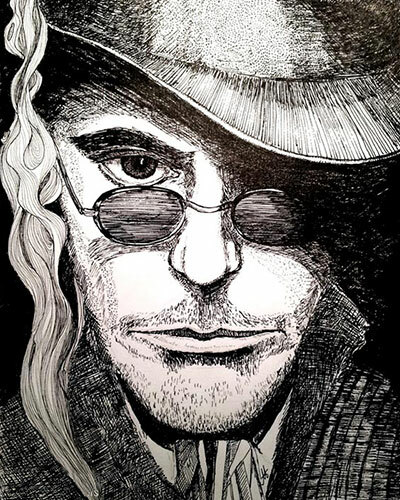 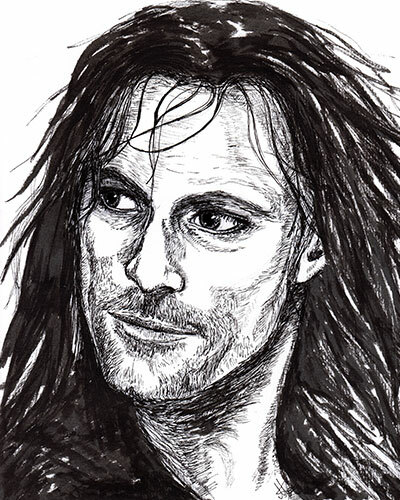 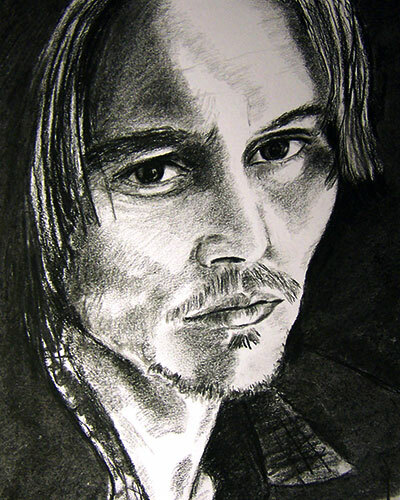 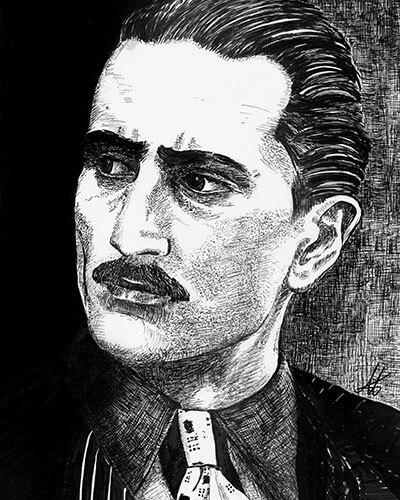 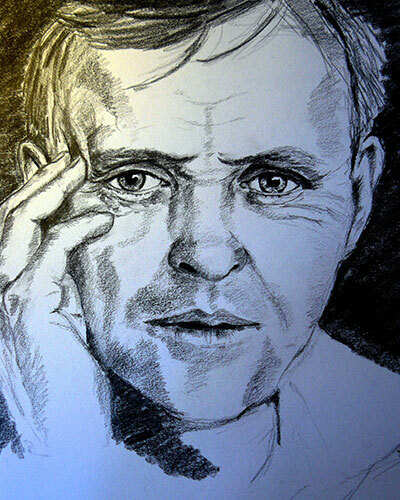 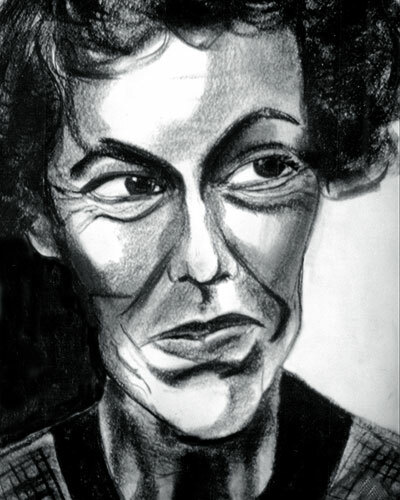 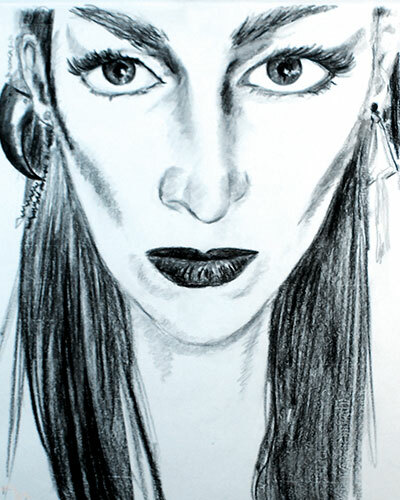 Subjects include actors, musicians, friends and family members; where some of the examples below are quick sketches and others more detailed drawings. 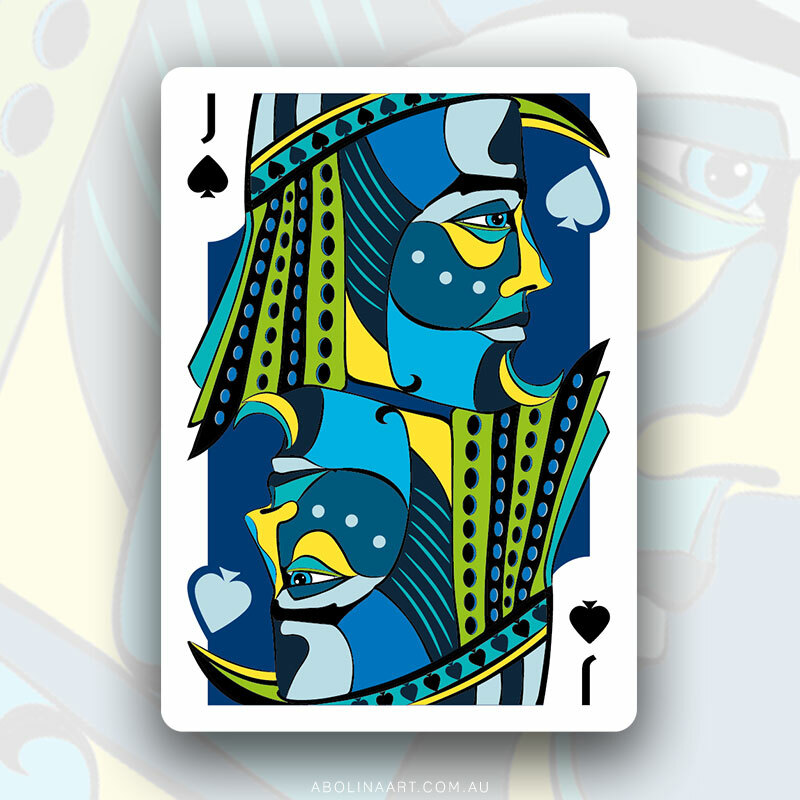 I have been fascinated by and drawn to cards for as long as I can remember. 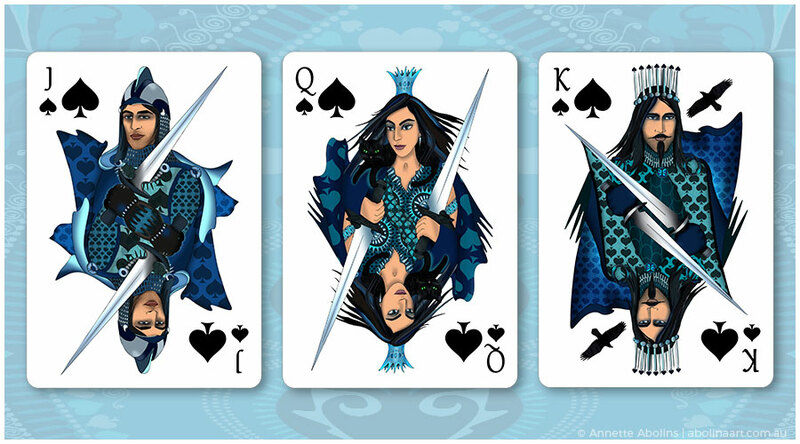 Paying homage to the notion that every deck is a portable treasure box filled with stories., I truly enjoy the journey of designing and illustrating tarot & playing cards. 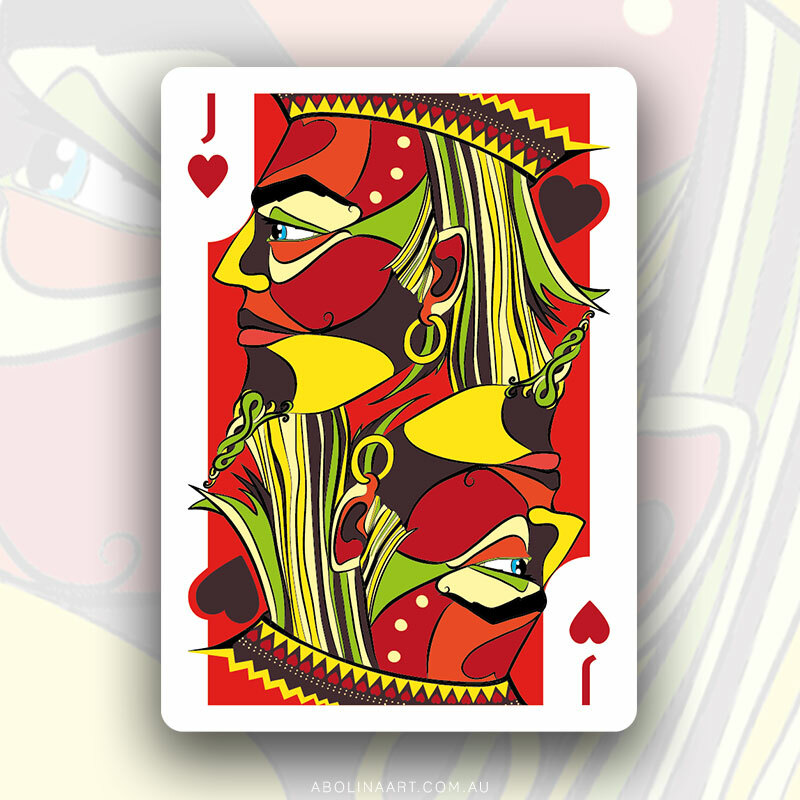 I have been fascinated by and drawn to cards for as long as I can remember. 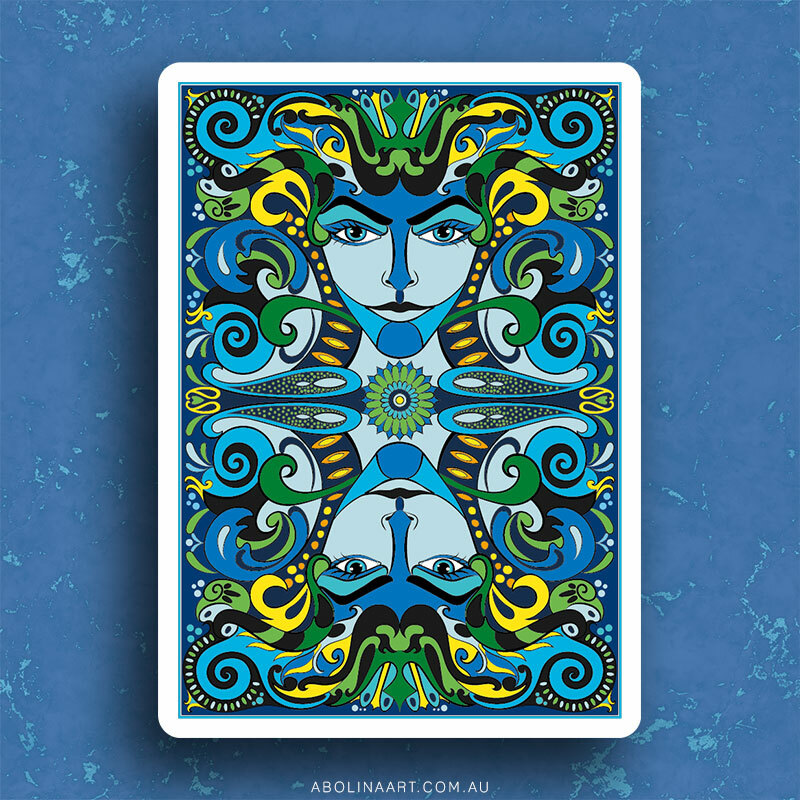 Paying homage to the notion that every deck is a portable treasure box filled with stories., I truly enjoy the journey of designing and illustrating tarot & playing cards. 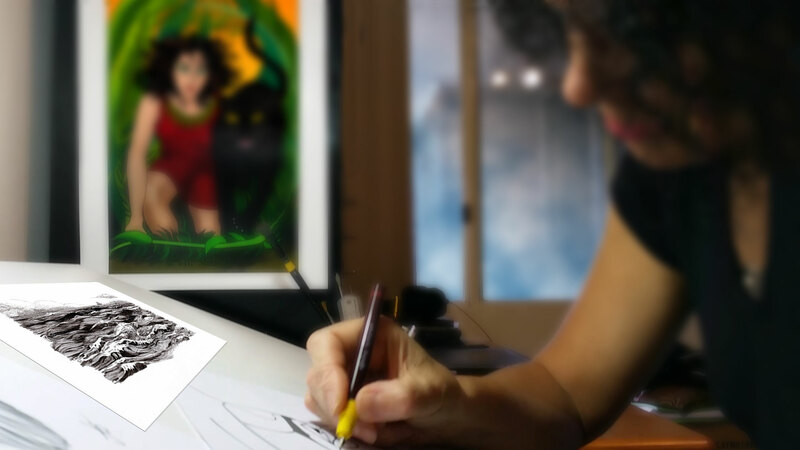 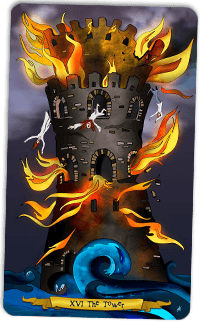 With ink, colour and imagination, I tell stories and bring characters to life. 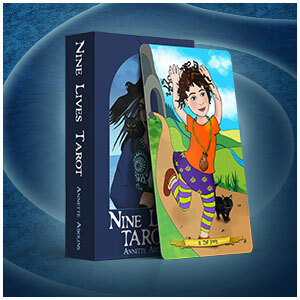 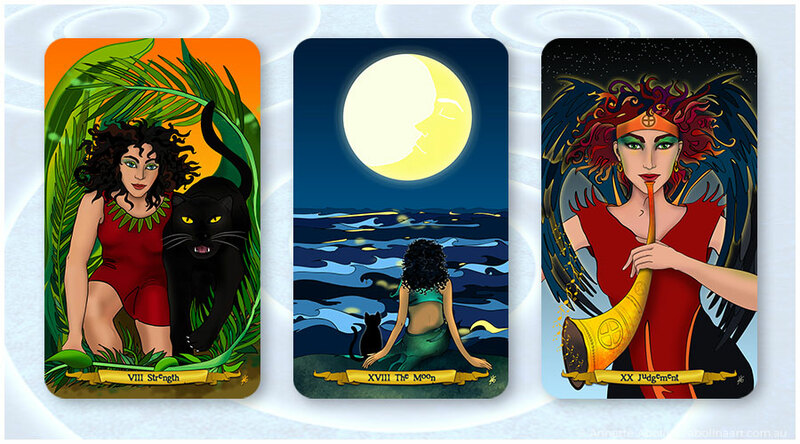 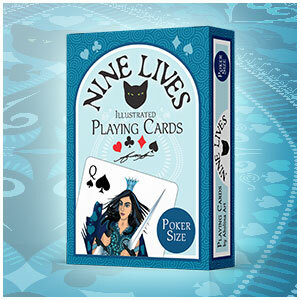 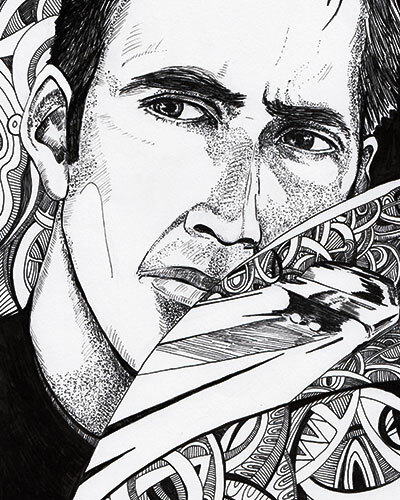 Nine Lives Tarot is the result of a long creative journey involving pen, ink & colour. 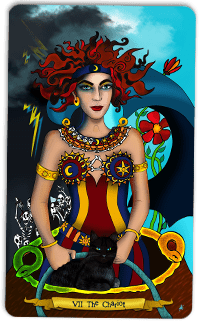 Nine Lives Tarot is the result of a long creative journey involving pen, ink & colour with original illustrations steeped in rich symbolism and female archetypes. 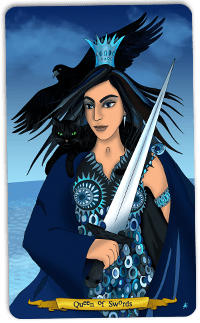 Nine Lives Tarot is the result of a long creative journey involving pen, ink & colour with original illustrations steeped in rich symbolism and female archetypes. 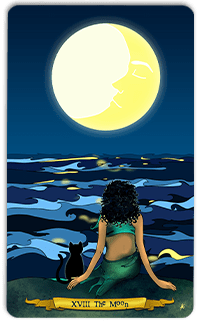 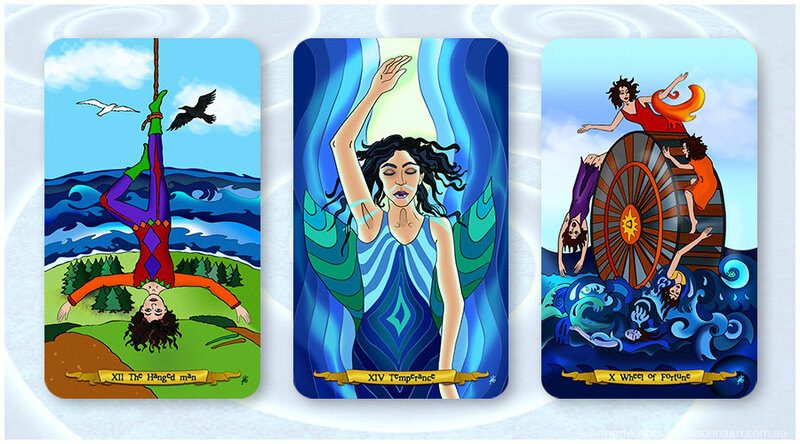 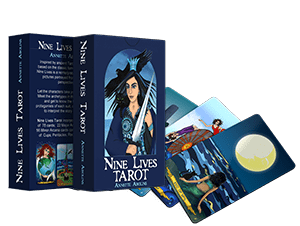 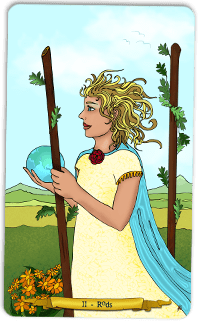 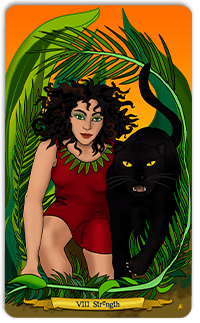 The completed deck is freely based on the traditional RWS tarot system and was launched in 2013 on Nine Lives - home to all my illustrated tarot and playing cards. 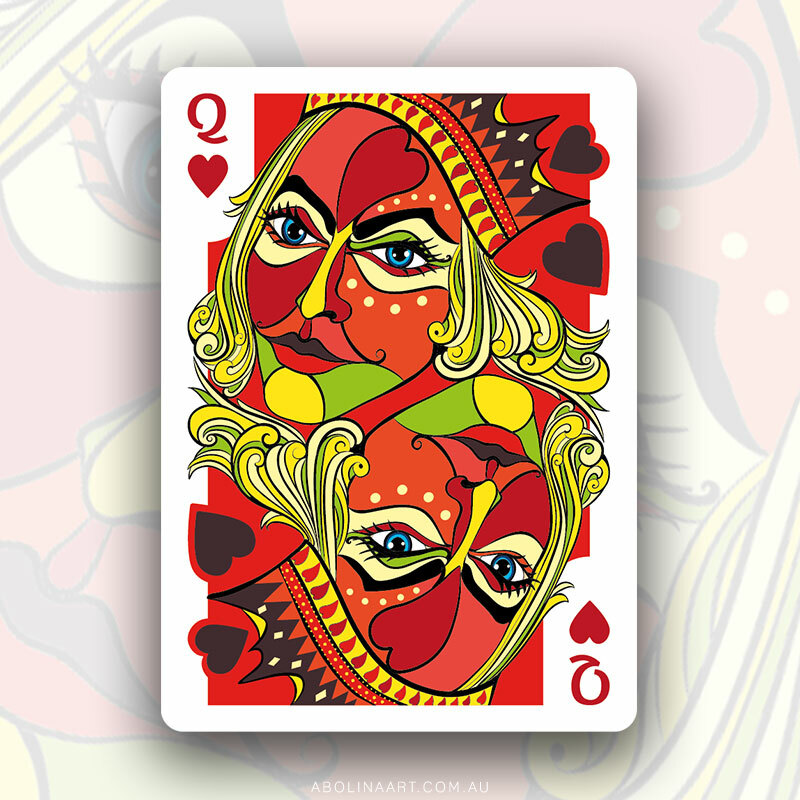 78 illustrated cards filled with life-affirming symbolism and female archetypes. 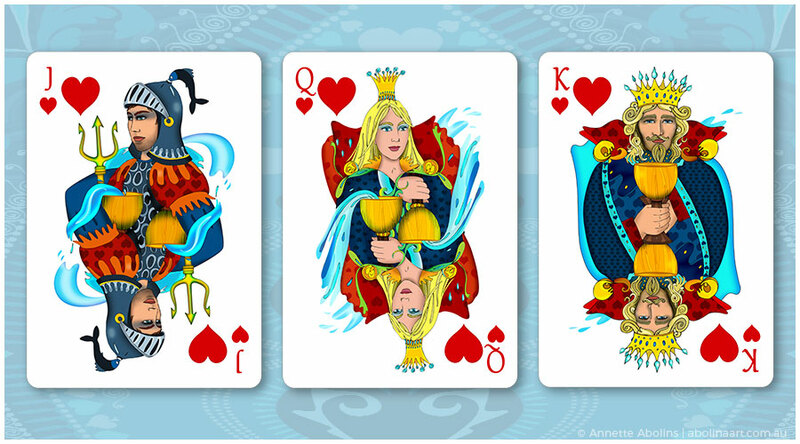 Jack, Queen and King clothed in shades of blue and red, with Hearts decorating their robes. 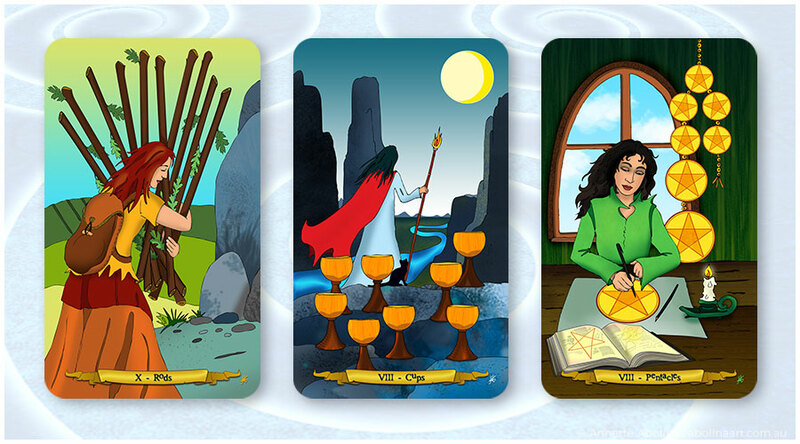 The cups and water accents provide a symbolic connection to the tarot suit of Cups. 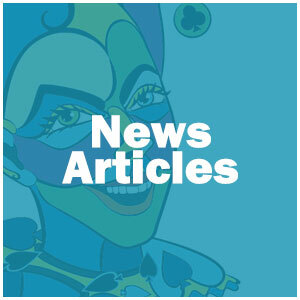 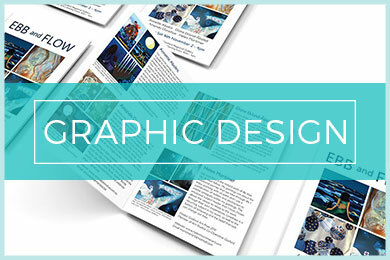 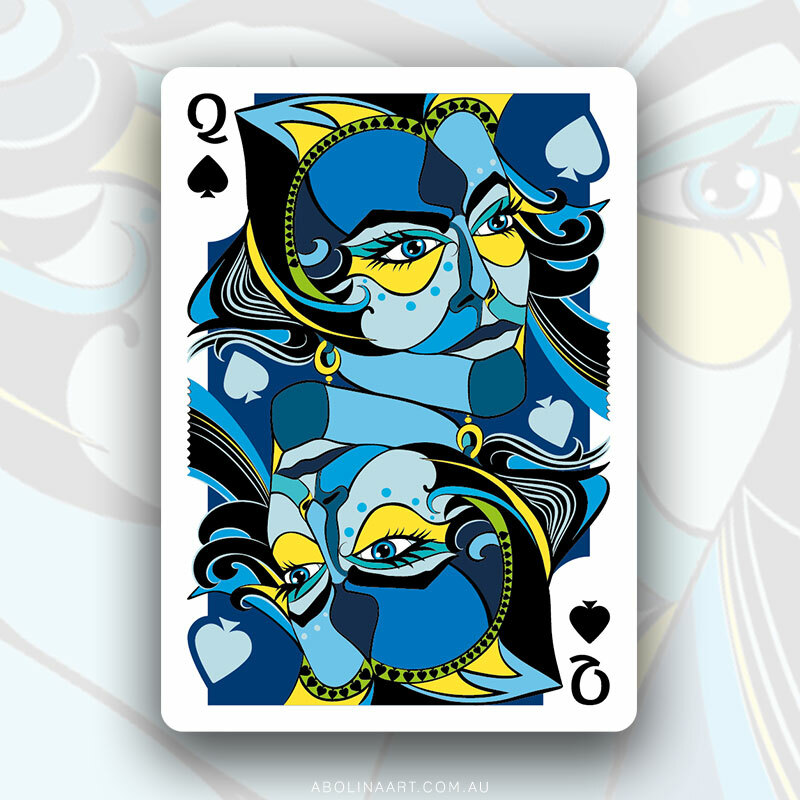 Illustrated playing cards- printed in limited edition by EPCC. 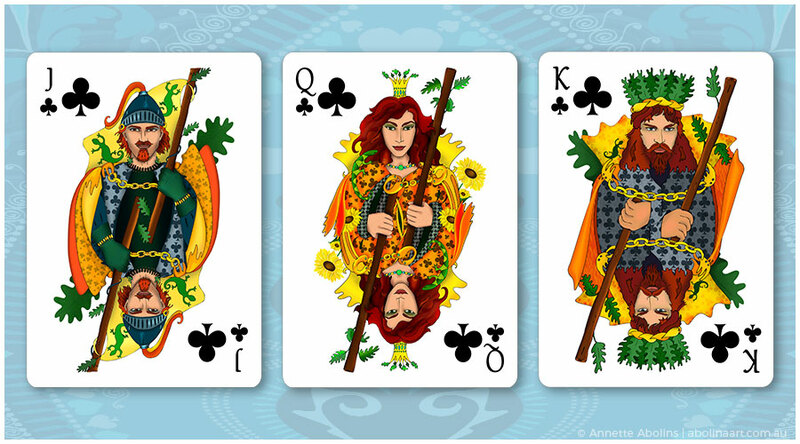 Shining bright in orange, yellow and green; these royals wear robes decorated with clubs, while holding a leaf strewn rod to mark the connection to their tarot suit. 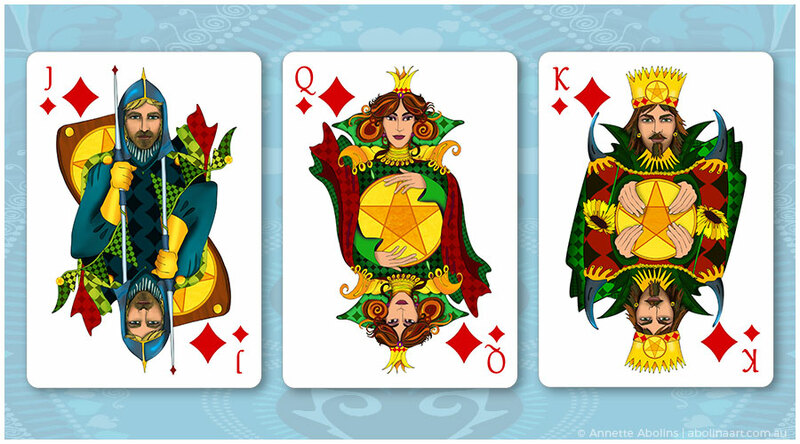 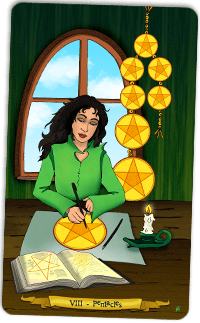 The golden pentacle connects these royal characters to the tarot, while their colourful robes are decorated with diamonds, designed to match their playing card suit. 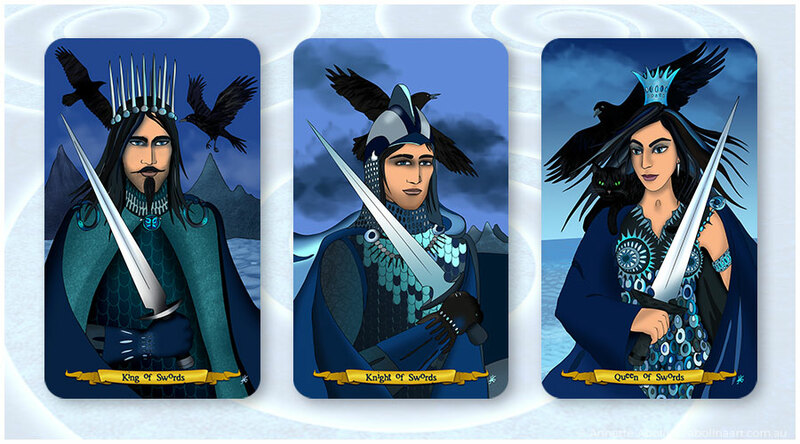 The Jack, Queen and King of Spades; each holding a majestic sword from their tarot suit, while dressed in detailed dark blue robes decorated with a multitude of spades. 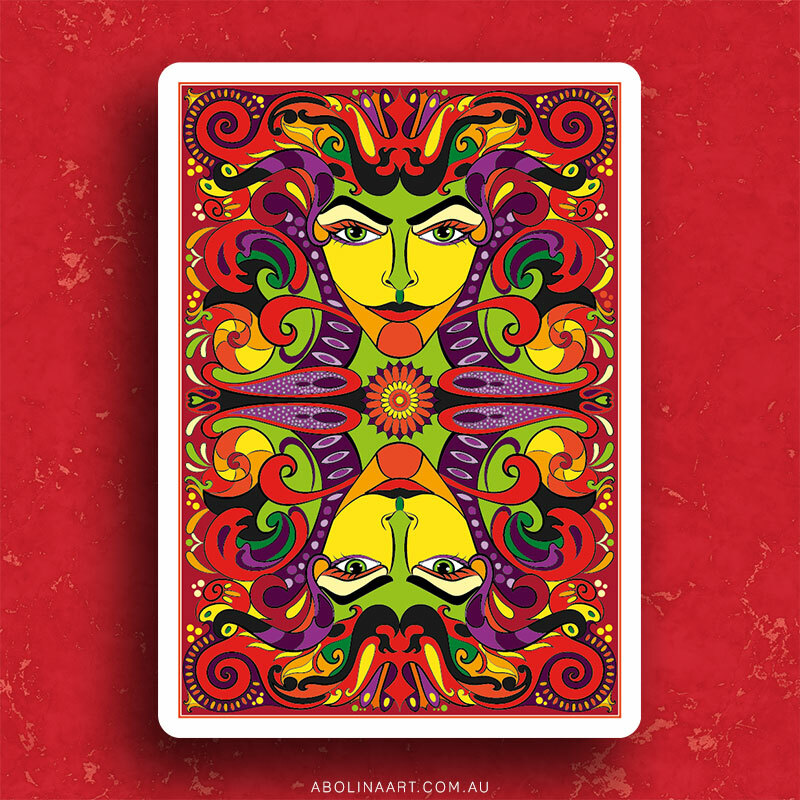 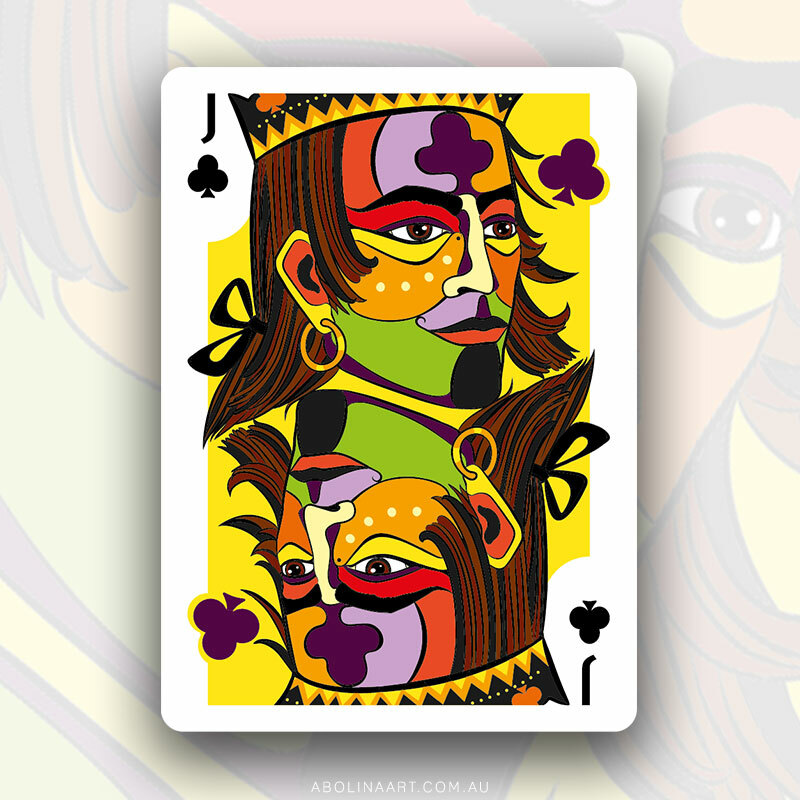 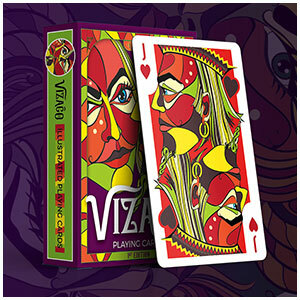 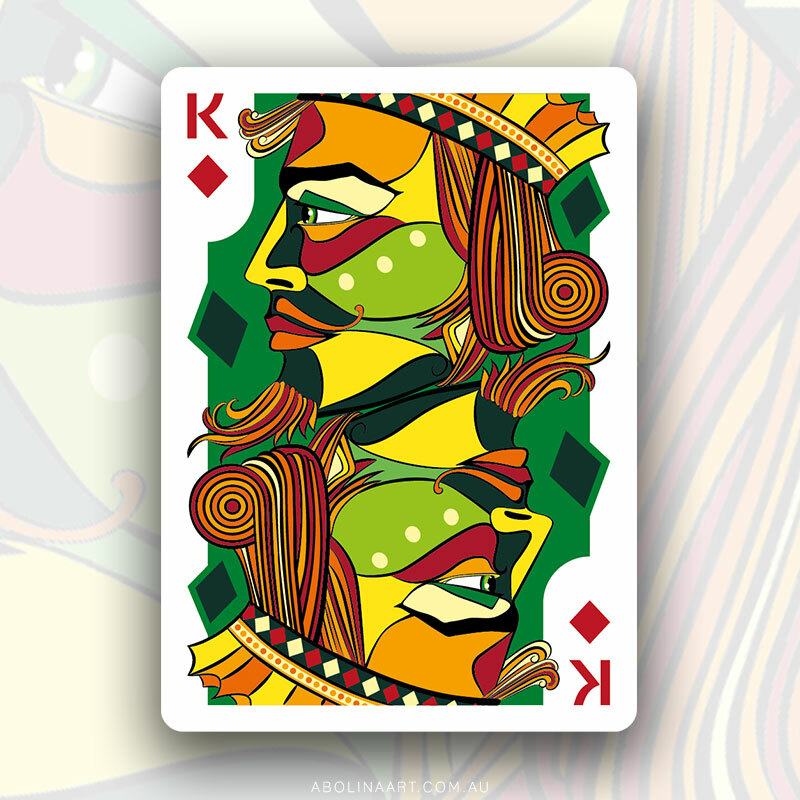 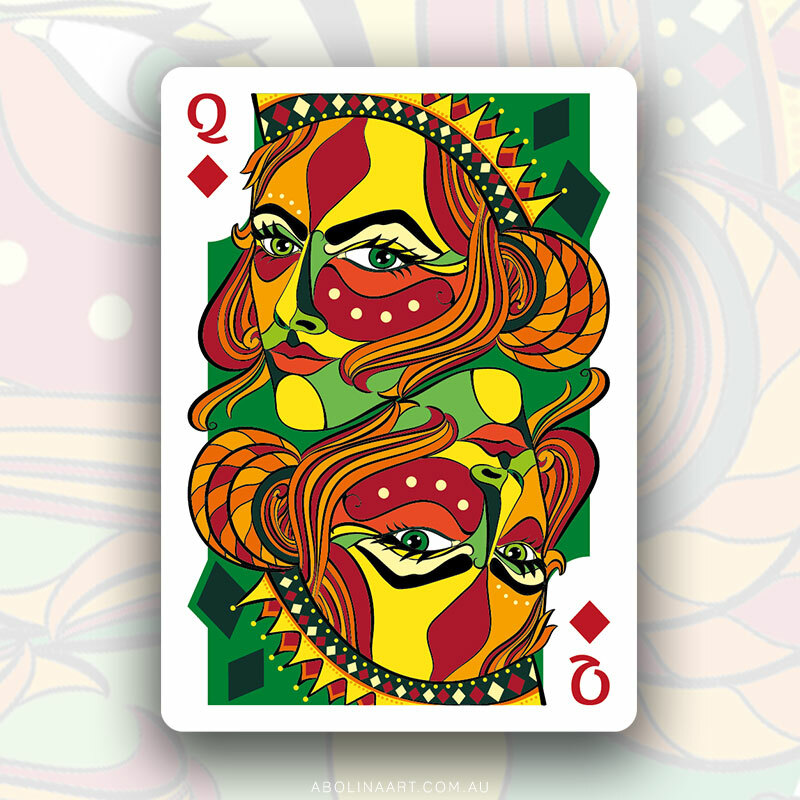 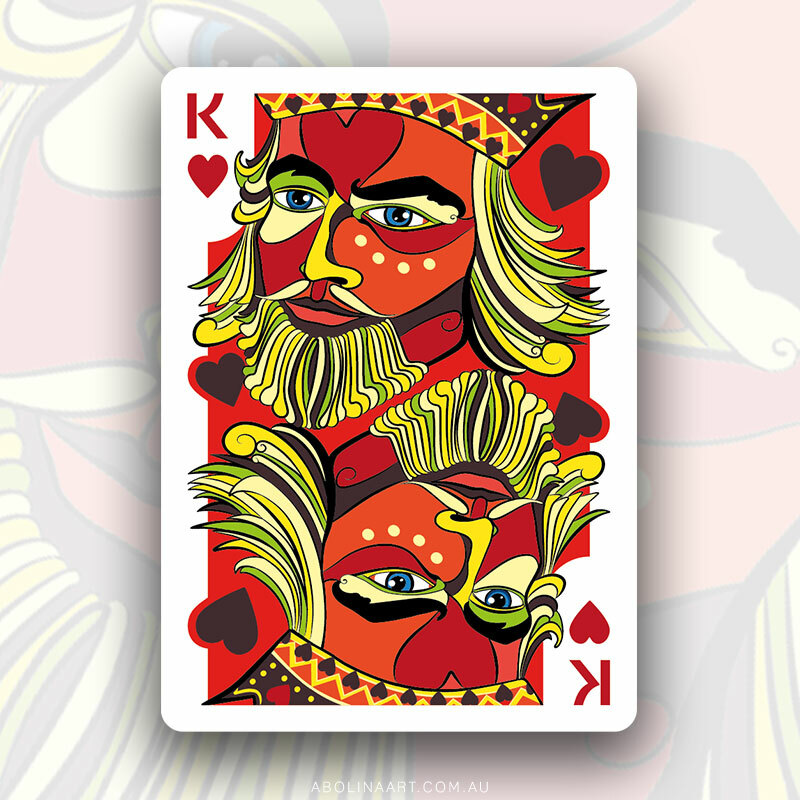 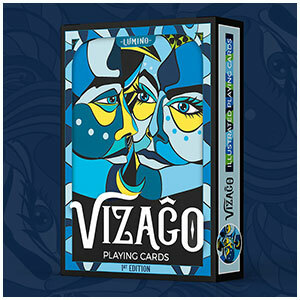 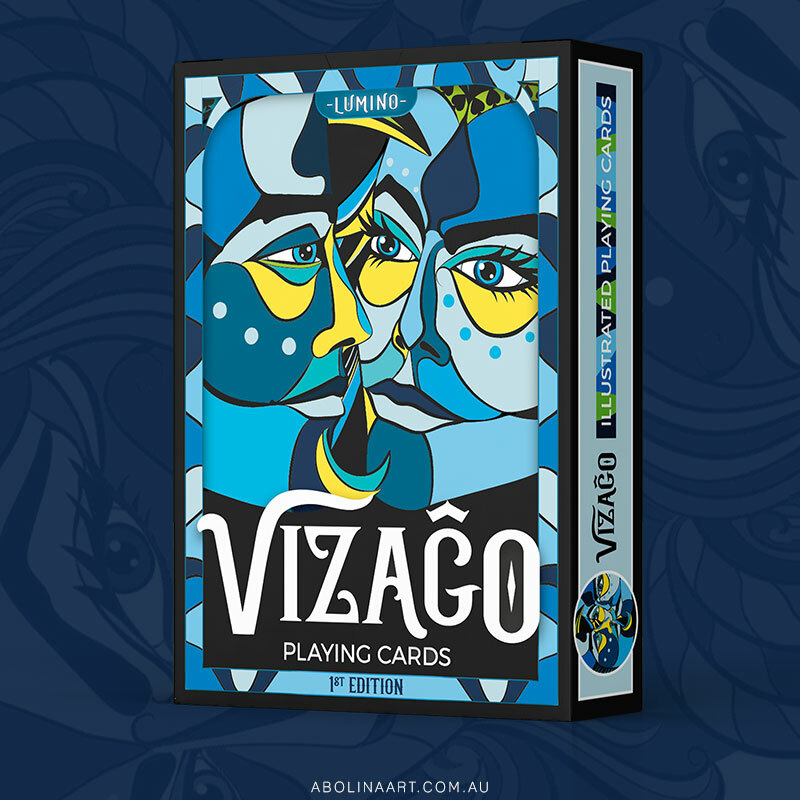 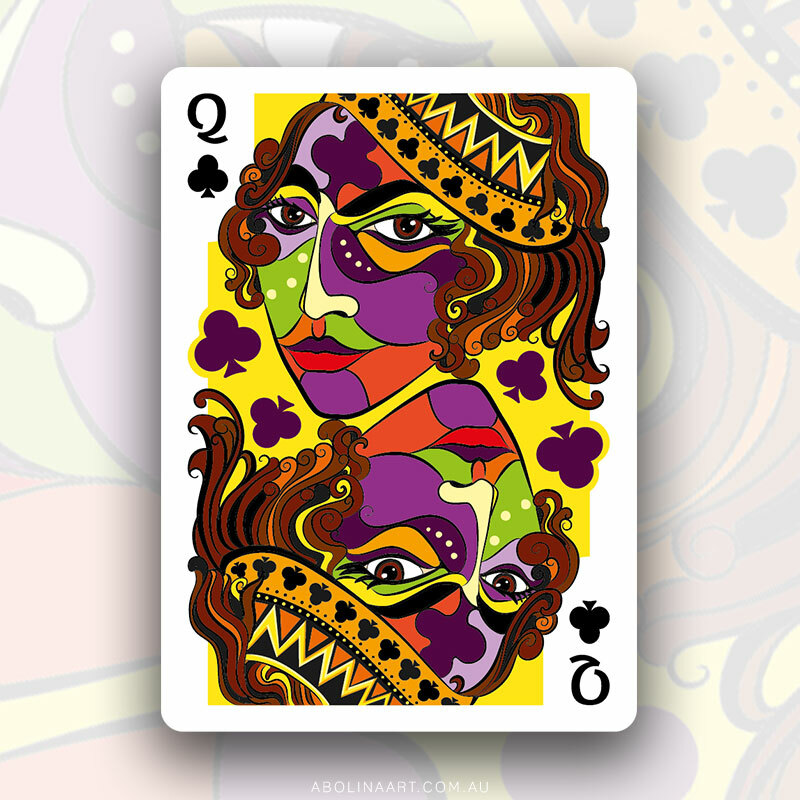 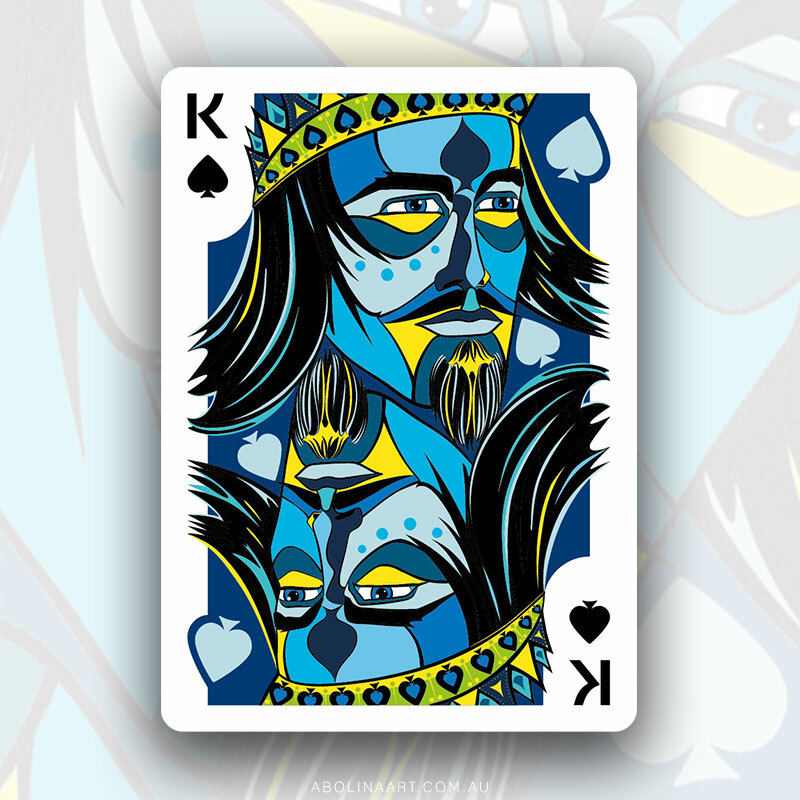 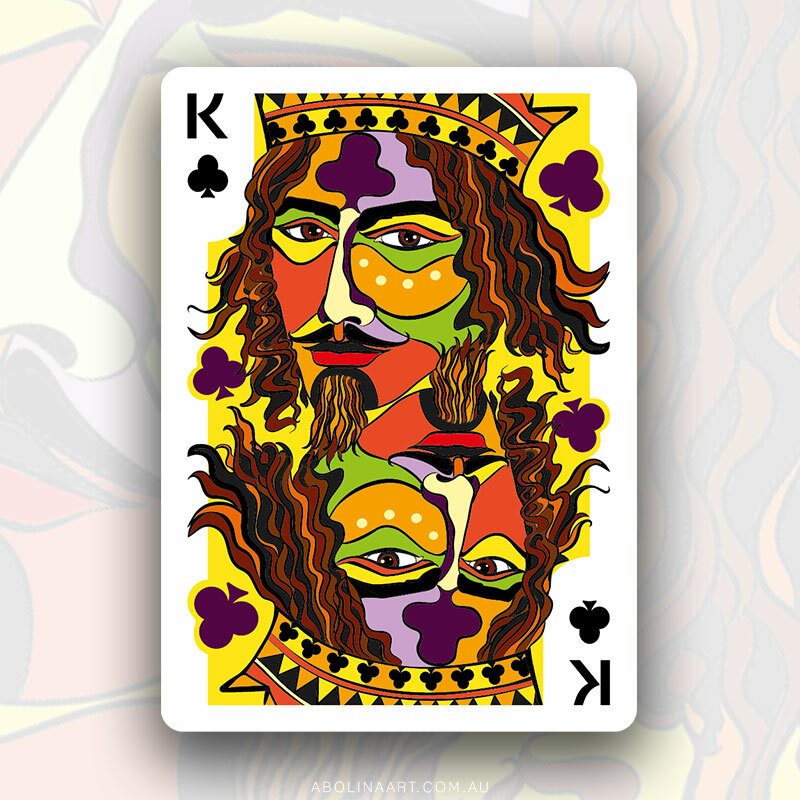 VIZAĜO Playing Cards celebrate faces with colourful illustrations influenced by wood-cut techniques. 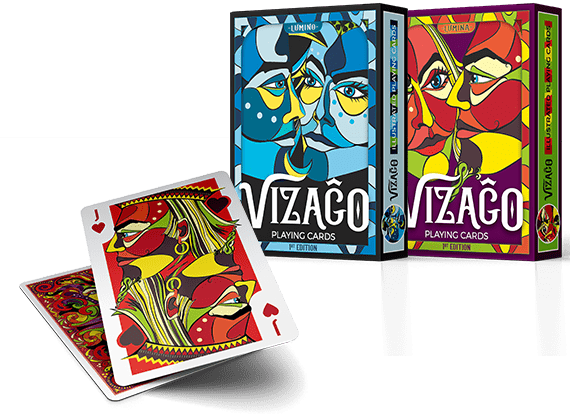 VIZAĜO Playing Cards celebrate faces with colourful illustrations influenced by wood-cut techniques. 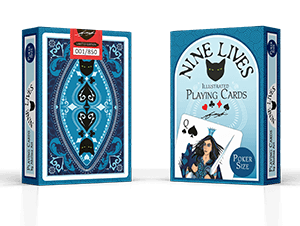 Limited edition, available on Nine Lives in red and blue. 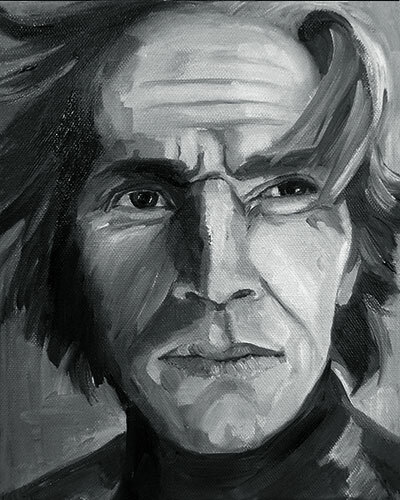 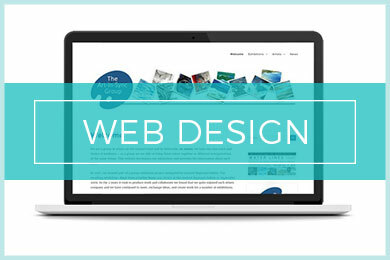 Check out the news section where you will find work in progress updates, new releases, special offers and articles about art & inspiration. 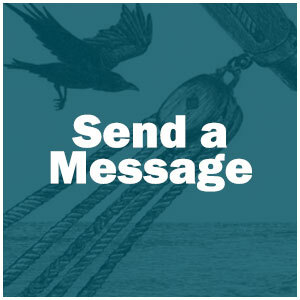 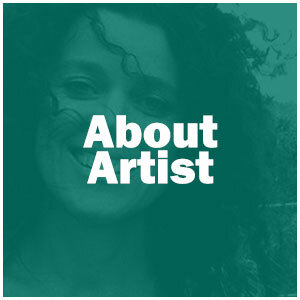 You can also read about recent art shows and a little artist background ... or reach out on the contact page, where I am always happy to hear from you!